How much space is there inside the 2019 Honda Civic Hatchback? Considering the new 2019 Honda Civic Hatchback for your next vehicle, but not sure if it offers enough space inside? Here at Continental Honda, we’ll walk you through the spacious interior dimensions of this sporty hatchback. Learn more about the 2019 Honda Civic Hatchback passenger and cargo space below. Offering seating space for up to five passengers, the new 2019 Honda Civic Hatchback is a great pick for anyone such as students and small families. Inside, the two rows of seating offer a combined passenger volume of 97.2 cubic feet. This area includes plenty of room for everyone to stretch out and sit comfortably. In the front, the driver and passenger enjoy 42.3 inches of legroom and 39.3 inches of headroom, making it a surprisingly great pick for taller drivers. Back seat passengers also get plenty of space. The second row offers up to 36.0 inches of legroom and 37.4 inches of headroom. 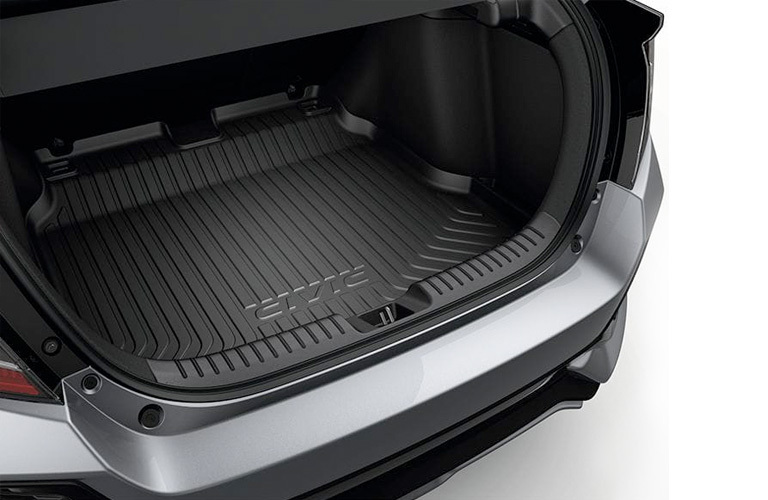 One reason that many drivers choose hatchbacks over their sedan counterparts is their versatile cargo space. 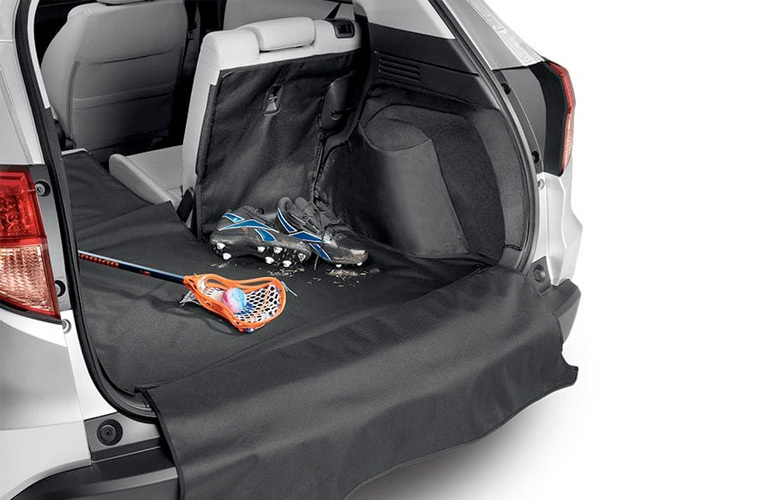 While sedans have secluded trunk space, hatchbacks feature an open design that offers easier access to cargo as well as the option to fold down second-row seats for extra space. Behind the second-row seat, the Civic Hatchback offers 25.7 cubic feet of cargo space, making it great for transporting your everyday gear, groceries, and more. However, should you need more space for transporting furniture, your dog’s kennel, or camping gear, folding down the second-row seat allows for extra cargo storage, reaching a maximum of 46.2 cubic feet*. 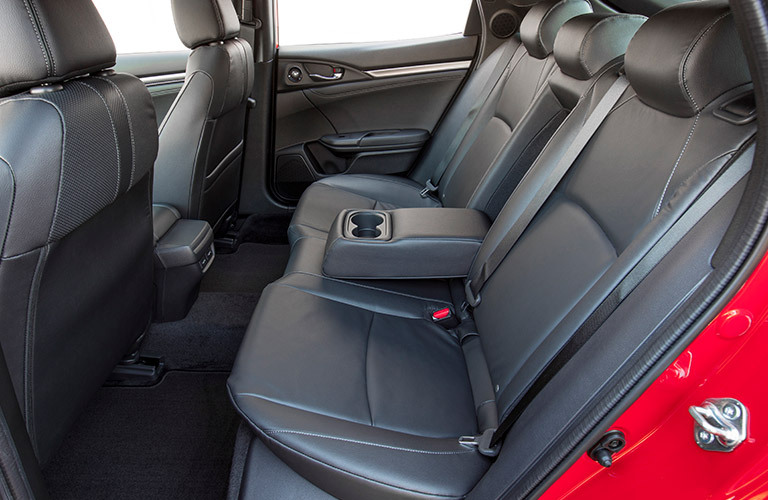 Like the surprisingly spacious design of the new 2019 Honda Civic Hatchback? You’re not alone! Here at Continental Honda, the Civic Hatchback is one of our most popular compact models. Not only does it offer affordability that drivers are looking for, but the everyday versatility that comes with a spacious cabin as well. If you’re interested in stepping into the driver’s seat of this versatile and stylish hatchback, don’t hesitate to contact us today for more information. You can begin your search by taking a look at our online Honda Civic Hatchback inventory to see the models that are currently available on our lot. From there, simply give us a call or contact us online and we’ll be happy to work with you to set up an appointment for a test drive that works with your schedule. That way, you can experience the comfortable cabin and useful cargo space available with the 2019 Civic Hatchback for yourself before deciding if it’s the right car for you. What do you think of the spacious design of the 2019 Honda Civic Hatchback? Let us know in the comments below! How much cargo space is there inside the 2018 Honda Civic Hatchback? This entry was posted on Tuesday, January 29th, 2019 at 9:52 AM	and is filed under Honda Civic Hatchback. You can follow any responses to this entry through the RSS 2.0 feed. You can leave a response, or trackback from your own site.